In Cameroon, there are two research teams working on various components of the research programme. The team in Yaounde under the leadership of Prof Louis-Albert Tchuem Tchuente focuses around schistosomiasis and soil-transmitted helminthiasis research. Subsequently, the team in Buea under the leadership of Prof Samuel Wanji lead on research around onchocersiasis and lymphatic filariasis. Research summaries are offered below, for each of the research studies being carried by the respective teams. Neglected tropical diseases continue to affect the lives of marginalised and impoverished populations across the world. The COUNTDOWN project brings together NTD researchers from multidisciplines with one common goal of elevating the suffering caused by NTDs on the Cameroon people. In Cameroon, schistosomiasis and soil-transmitted helminthiasis (STH) are widely distributed with more than 5 million people at risk of infection and 2 million currently infected with schistosomiasis while 10 million people are currently infected with STH. The National Programme for the Control of Schistosomiasis and STH was launched in 2004 in order to help reduce the burden of the disease. 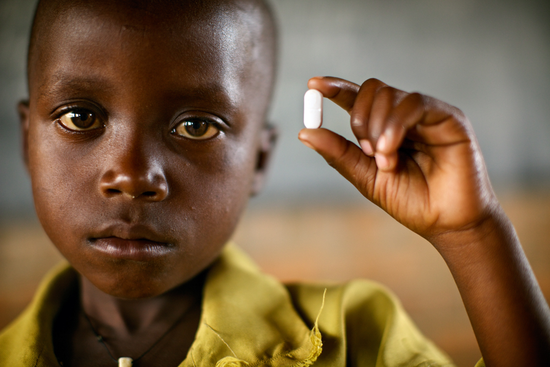 Albeit achieving the WHO target of treating 75% of the total school-aged children at risk of STH, the treatment coverage for schistosomiasis is still low especially for out of school children as well as preschool-aged children. Furthermore, access to medication for other groups such as adults especially women in the community is very poor and in line with other diseases of low sanitation, inter-sectoral WASH activities such as community-led total sanitation (CLTS) might reduce transmission of these diseases. All this generates several research questions that will be addressed within the framework of this COUNTDOWN project. 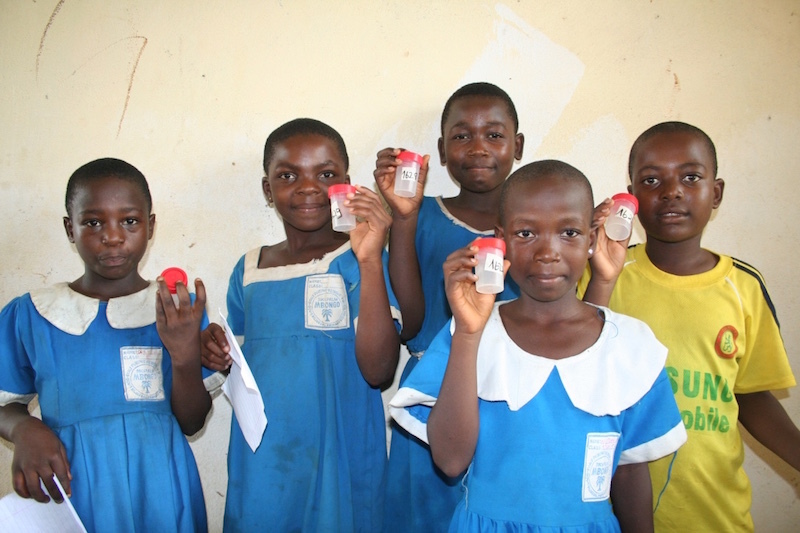 The main objective of this study is to expand access to praziquantel and mebendazole/albendazole for schistosomiasis and STH control in Cameroon, by scaling-up of treatment in and beyond school-aged children. 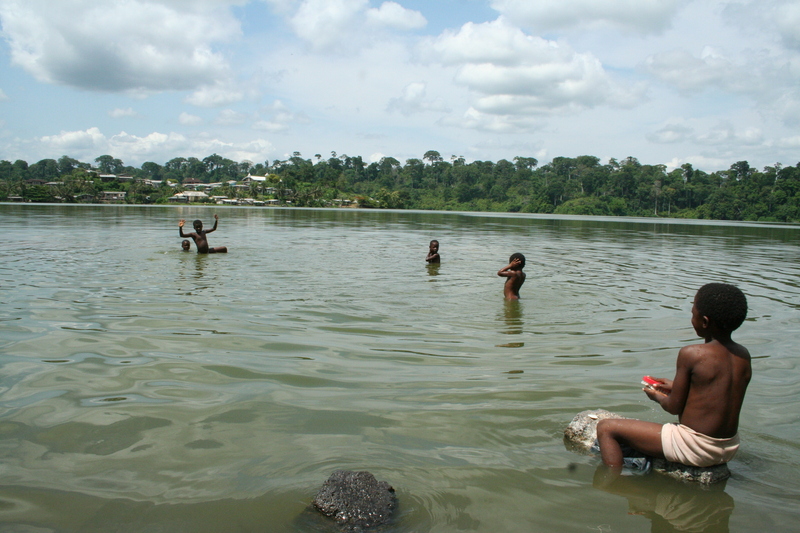 The Cameroon government is committed to controlling schistosomiasis and STH and has abetted in the increase of large scale mass drug administration of praziquantel and mebendazole in all endemic areas of Cameroon. The government's focus has shifted from a control to elimination paradigm and for this to be carrie out successfully, there is a need to expand access to treatment beyond school-aged children. What are the most effective, cost effective, sustainable and acceptable current and complementary strategies to both implement scale up to meet the goals of the WHO 2020 Roadmap and strengthen health systems? What generalisable factors influence the acceptance, effectiveness, efficiency and equity impact of scale-up of treatment? What are the most effective strategies to work with teachers, Health staff, Community Drug Distributors and Community Health Workers to extend the scaling up of mass drug administration to include hard to reach communities and build the resilience of vulnerable and marginalised groups? How can integrating interventions foster cross sector working (e.g. sanitation, water resources and agriculture) to deliver a sustainable impact to overcome the vulnerability of NTD affected populations? Onchocerciasis also known as river blindness, continues to be a major public health problem in Cameroon due to its debilitating effects on those affected. 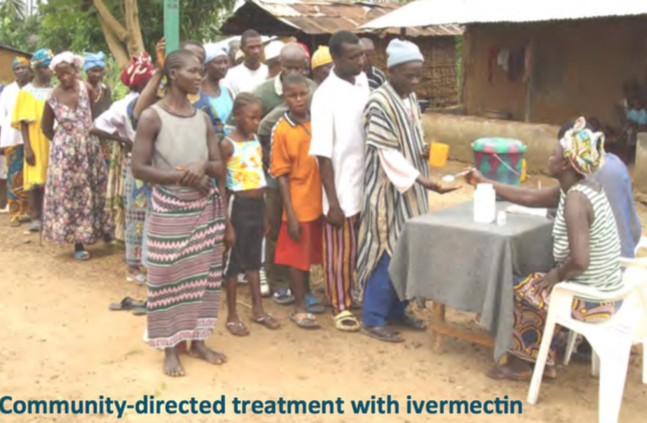 Despite the government's efforts of combatting and controlling onchocerciasis in Cameroon, there are still many districts which are still endemic for the disease even after about 14 – 15 years of community-directed treatment with Ivermectin. Ivermectin is used to control the disease as it kills the microfilariae produced by the adult worms, reducing the number of microfilariae in the skin and eyes. Endemicity in certain areas of the country is due in part to the presence of loa loa infection also referred to as the ‘eye worm’ in those also affected with onchocerciasis. The administration of ivermectin causes serious adverse reactions in the presence of the ‘eye worm’. Consequently, alternative forms of treatment are being tested, so as to avoid the adverse effects caused in the presence of the eye worm. Doxycline will be used as an alternative treatment. This is a macrofilaricide which has been proven to kill the adult worms, there by interrupting the production of more microfilariae. Treatment is not effective on its own, but controlling the vector helps to reduce/stop transmission. The larviciding Temephos can be used effectively. In the framework of this COUNTDOWN project, the use of an alternative form of treatment alongside vector control will be maximised in areas where onchocerciasis is co-endemic with loa loa. What combination of the available control methods is most effective to lessen the burden and interrupt transmission? Which intervention is most cost effective and sustainable to target onchocerciasis in co-endemic areas? 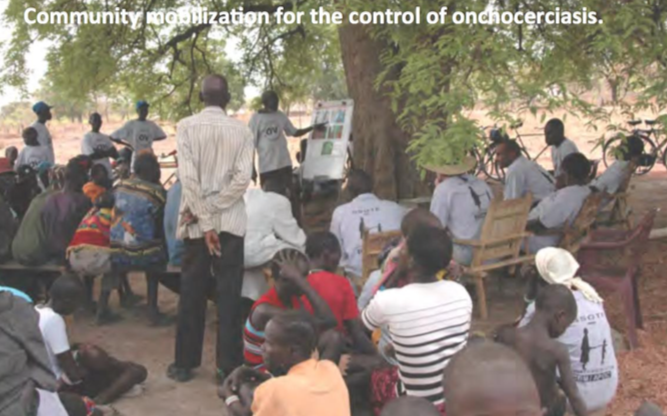 What regions/districts have the most significant burden for onchocerciasis?